italiangreyhoundsavvy.com is a site operated by BeDogSavvy, a partnership of Richard Cussons of Ashcombe, Payhembury, Devon, EX14 3HA and Savvy Advice Ltd, a company registered in England with registered office at 76 Fore Street, Topsham, Exeter, Devon, EX3 0HQ and registered number 06059091 (“We”). Our VAT number is 784254408. Information about us and contact details: italiangreyhoundsavvy.com is a site operated by BeDogSavvy, a partnership of Richard Cussons of Ashcombe, Payhembury, Devon, EX14 3HA (our main trading address) and Savvy Advice Ltd, a company registered in England with registered office at 76 Fore Street, Topsham, Exeter, Devon, EX3 0HQ and registered number 06059091 (“We”). Our VAT number is 784254408. Consumer rights : You may cancel a Contract at any time within seven working days, beginning on the day after you received the Products. In this case, you will receive a full refund of the price paid for the Products in accordance with our refunds policy below. 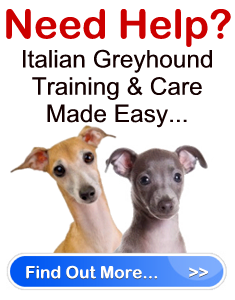 To cancel a Contract as a consumer, you must inform us in writing by emailing us at support (at) italiangreyhoundsavvy.com. If the Product(s) are physical such as books or DVDs you must also return the Product(s) to us immediately, in the same condition in which you received them, and at your own cost and risk. You have a legal obligation to take reasonable care of the Products while they are in your possession. If you fail to comply with this obligation, we may have a right of action against you for compensation. Whether as a consumer or otherwise, you do not have right to cancel a Contract for the supply of any of the following Products: downloaded e-books, and CDs/DVDs where the security seal has been broken – but see our “No-quibble refunds policy” below for e-books. This does not affect your statutory rights. We like to have very satisfied customers. If you decide that any e-book Product that you have purchased is not suitable for whatever reason you may request a refund from us at any time within 60 days from the date of purchase. To do so please log in to the support centre, go to the contact refunds department section and complete the fields which include the name of the original purchaser, the purchase identification number and the email address of the original cardholder. This will allow us to process the refund quickly. If you do not have all this information you can email us at support (at) italiangreyhoundsavvy.com but please allow a little more time for us to trace your original order. Please note we can only refund to the card account which was used to make the original purchase.